On the Way in Santiago di Compostela. 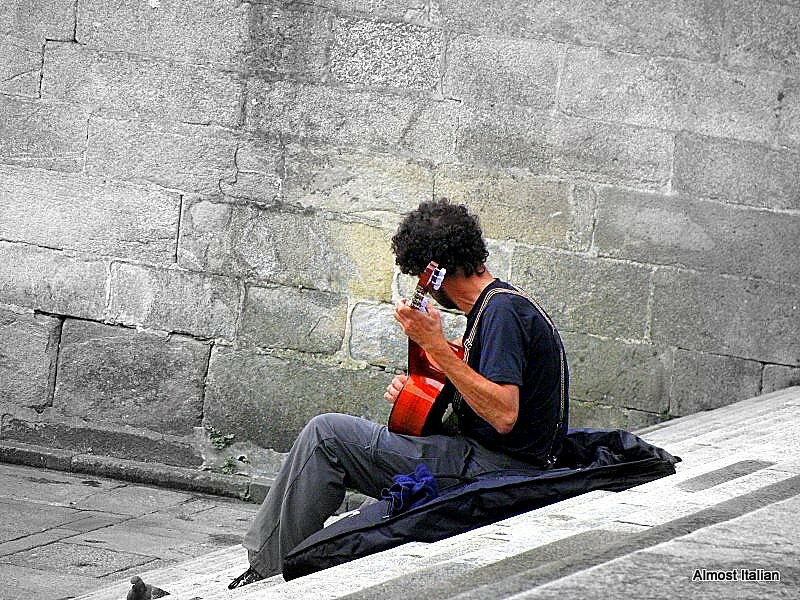 On the way to the cathedral of Santiago di Compostela, I noticed this guitarist. He wasn’t busking but probably was on the way somewhere himself when taken by the urge to play a tune. The music of Santiago di Compostela, Galicia, Spain is intriguing. Unlike most Spanish music, Galician music is strongly Celtic in origin. Further along the way, I was seduced by the distant sound of bagpipes echoing from a portico below the cathedral. As I got closer, the sound amplified in the darkness, overwhelming my emotions. Santiago di Compostela is memorable for so many reasons, not just its famous Camino! Posted on May 29, 2015 September 11, 2015 Author FrancescaCategories Photography, TravelTags bagpipes, Camino, Celtic music, Galicia, Santiago di Compostella, Spain, travel. photography24 Comments on On the Way in Santiago di Compostela.